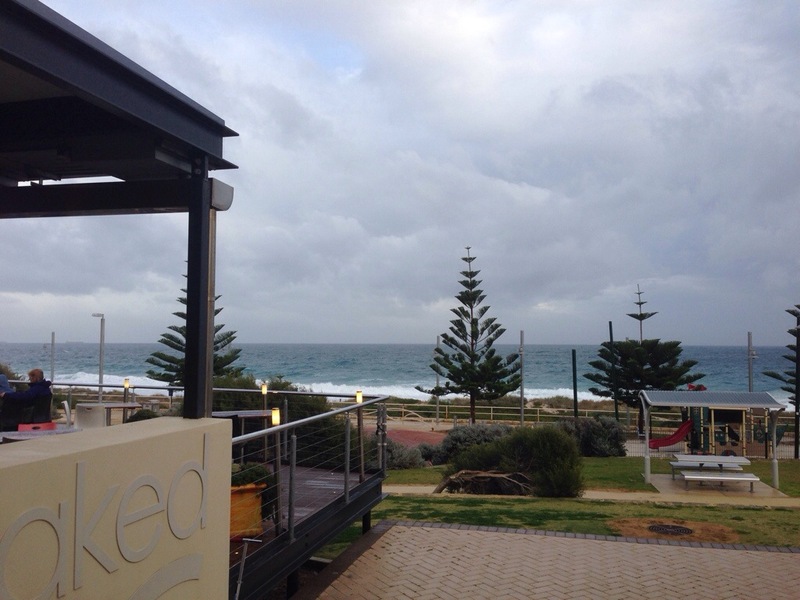 The Naked Fig in Swanborne has been on our to visit list for some time, and catching up with Liz, the person behind the @breakfastinperth Instagram was the perfect excuse to visit. The view was amazing, right on the beach. The restaurant makes the most of it with an expansive balcony, unfortunately the weather was just a bit too wet and wild to make the most of it. 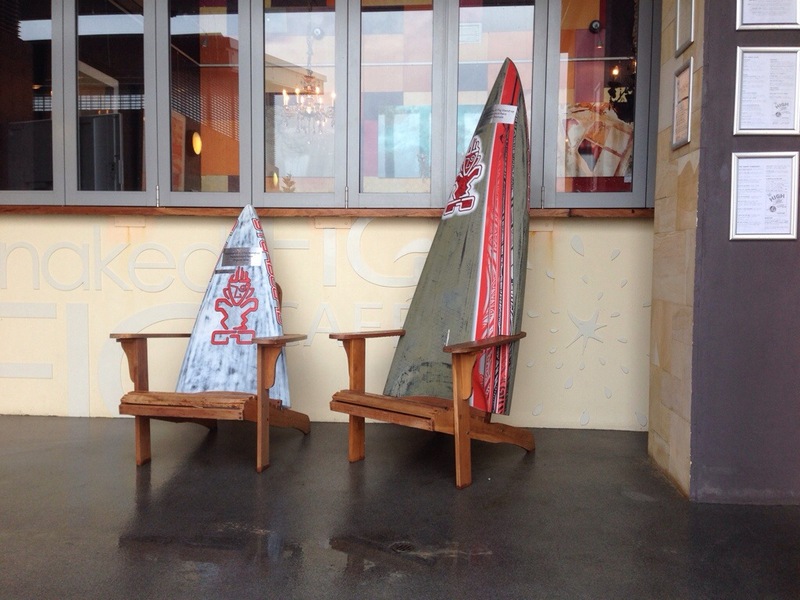 The restaurant really pulls together that beachy feel, and caters to all comers, including families. Happy children was one of the first things we saw when we came inside with a dedicated family area to one side. The decor is colourful, the bright and vibrant pinks, yellows and blues acted as a tonic to the monotone winters day. 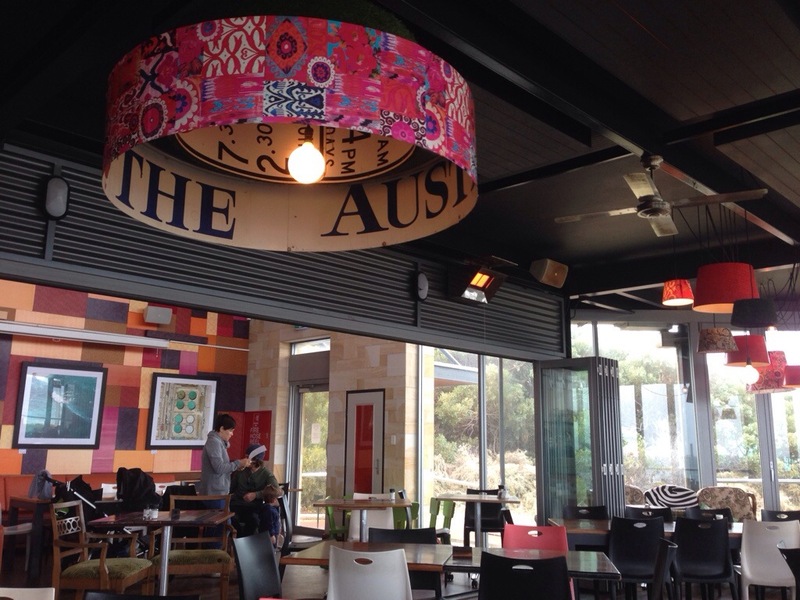 The inside of the cafe is big and spacious, with french doors/windows the whole way round adding to the allure. When there isn’t such crazy weather we can only imagine the view is spectacular, when we visited unfortunately it was lots of grey and heavy rain hitting the windows in sheets. 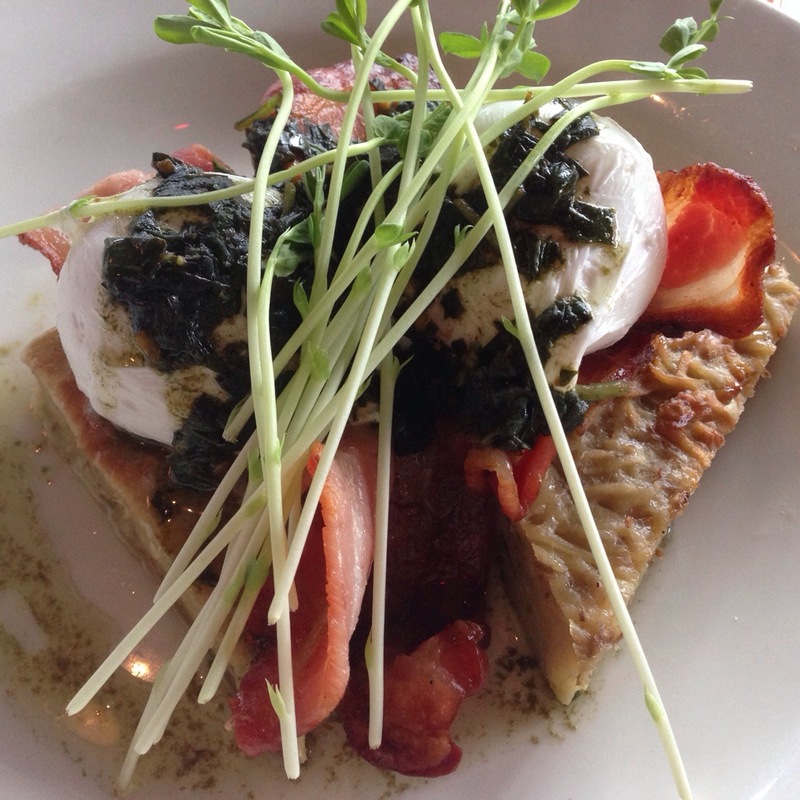 The staff were reasonably attentive and our orders were placed fairly quickly after we were settled in and seated. 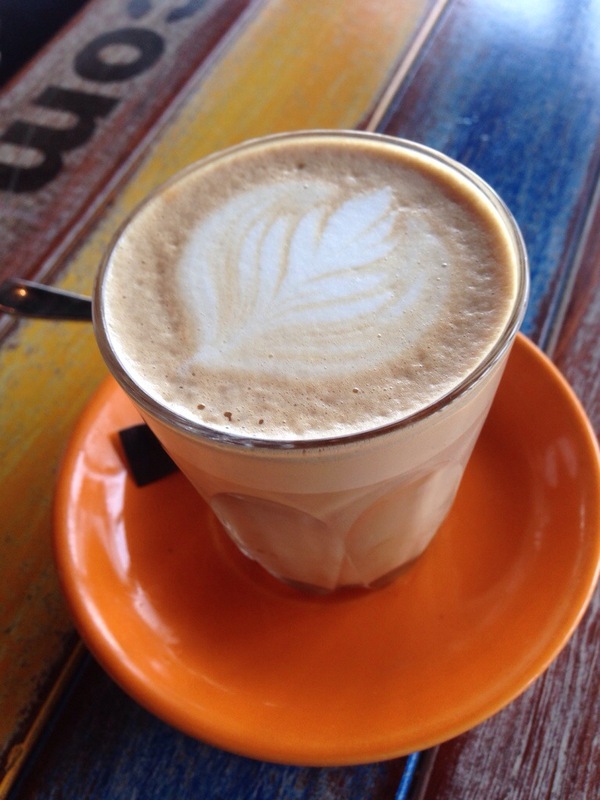 The coffee at the Naked Fig comes from St Ali Specialty Coffee Roasters Melbourne, and was a wonderful blend with a rich nuttiness and a sweet finish. It was served at a perfect drinking temperature, and we enjoyed it so much we ordered seconds. The second coffee was equally good, with beautiful flavours and nice and creamy. We are happy to say the Naked Fig has passed the Second Coffee test! The menu was quite interesting, and as usual we ordered both a sweet and savoury dish to try. 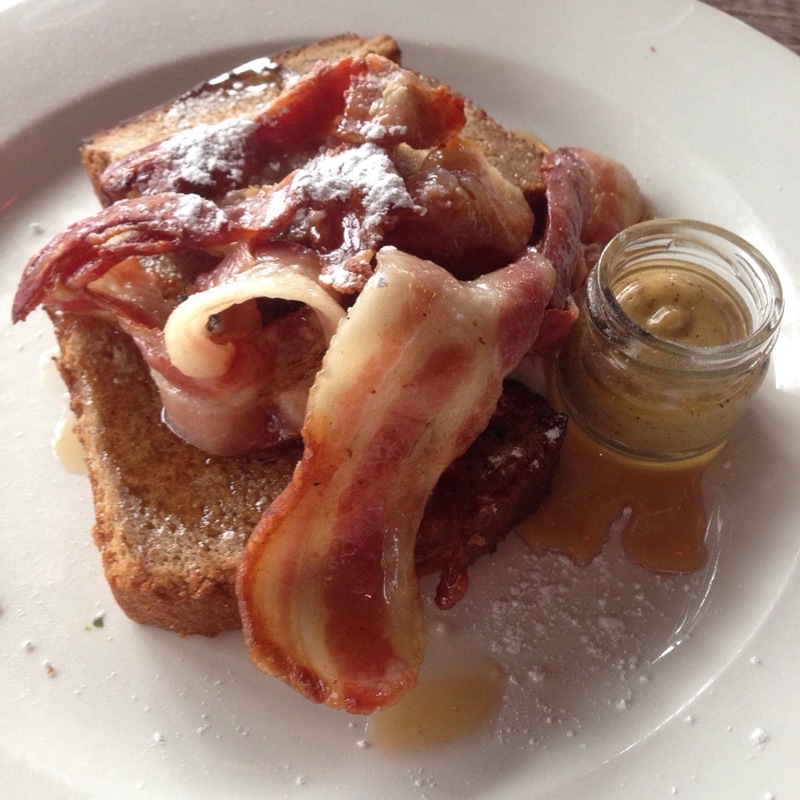 Our sweet dish was streaky bacon and banana bread. This was a predictably good flavour combination. The bacon was a mix of salty and sweet and for the most part crispy. The cinnamon butter gave a hint of spice while the banana bread had a nice flavour base in the moist bread. Overall this was a lovely dish. For our savoury dish, something a little different, potato and feta pancakes with mint, pesto and pea shoots. The eggs on top were nicely poached and the flavour combination was fresh, tasty and filing. The pancakes themselves were a bit dense, more of a cake-y texture, but nonetheless tasty. 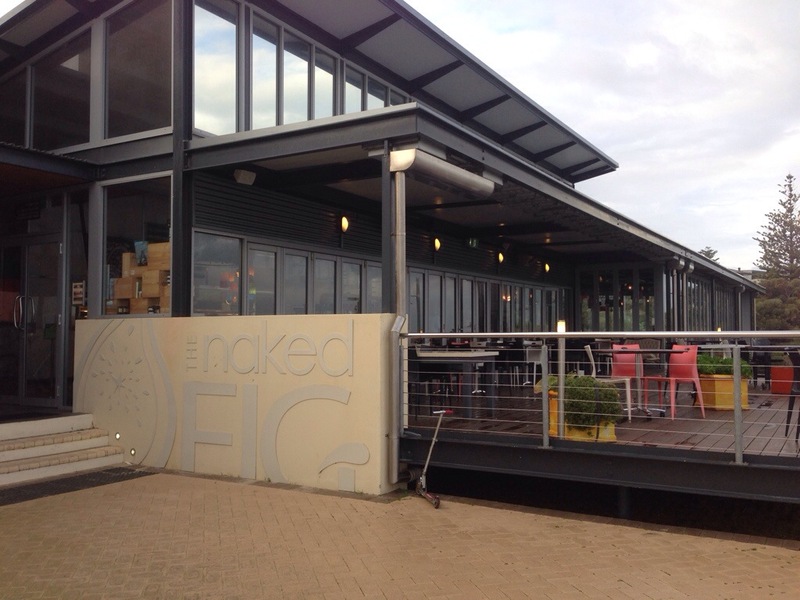 We found the Naked Fig to be an atmospheric and delicious dining experience. It caters to everyone in it’s spacious restaurant, and has a high standard of service. The only downside is the meals are on the pricey end of the scale but it’s obvious you pay for ambience and view as well as the food.